Daniel Senkerik can certainly be described as a Multi-talented guy. 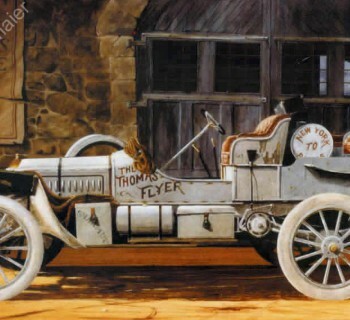 A graphic designer, sculptor and automotive artist, are there anymore facets to his talents? 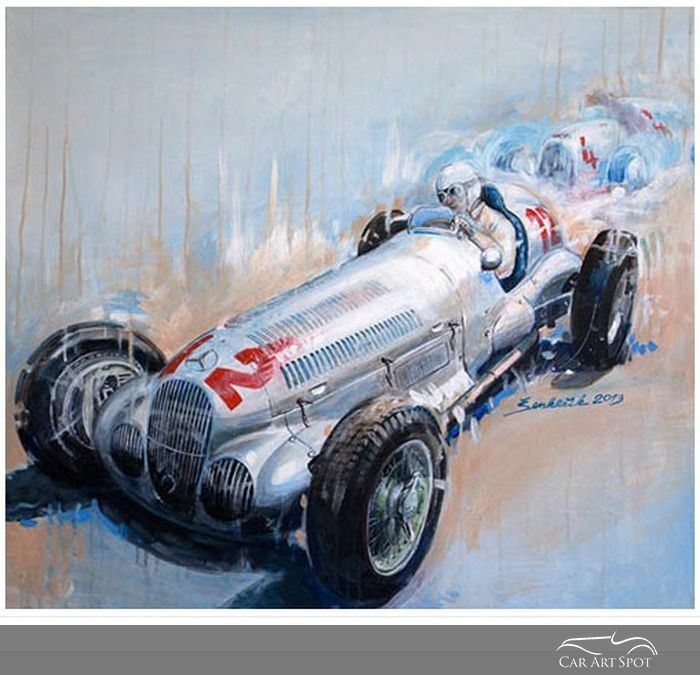 After studying sculpturing and graphic design at school and college, Daniel went to work for a company as a graphic designer and although he started out sculpting, he very soon moved in the direction of painting his real love and passion………..cars, and in particular old cars. At the age of 25, he had done many paintings which he kept stored under his bed. A friend saw them oneday and liked them so much, he encouraged Daniel to exhibit them which is what he did and has been exhibiting them in his country the Czech Republic ever since. 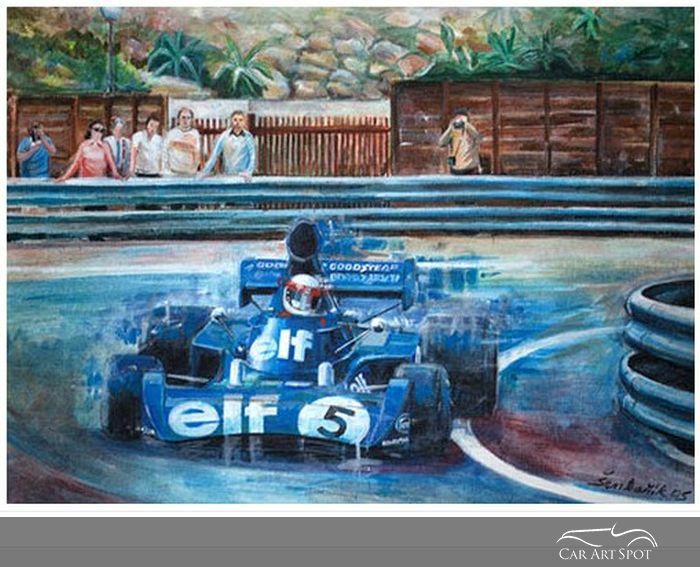 Daniel loves all era’s of motorsport and the old Formula 1 racing cars from the past appeal far more to his background as graphic designer than the modern cars. They are far simpler in design and more beautiful than the modern F1 cars, he says, and according to Daniel, the 1970’s was the best time in racing when it was all about the car and the driver. He was just a kid back then and racing was so much more romantic than it is today. With his art, Daniel eventually moved into the direction of painting posters which is what he does most at the moment and loves doing. Eventually though he sees himself going back to sculpting again. So what do you want to express with your paintings Daniel? I want to express speed, the car and driver. 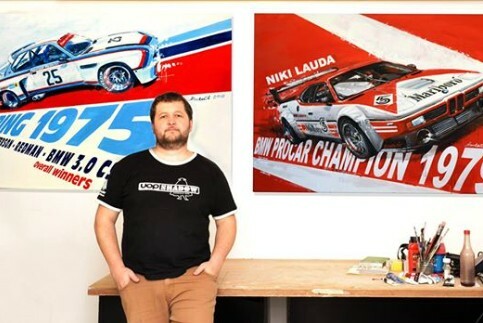 I love paintings which are impressionistic but everyone has their own style and my style is painting simple cars, like the Niki Lauda BMW Procar M1 from 1971. With my poster paintings, I like putting in text and seeing them hanging on the wall as a poster. 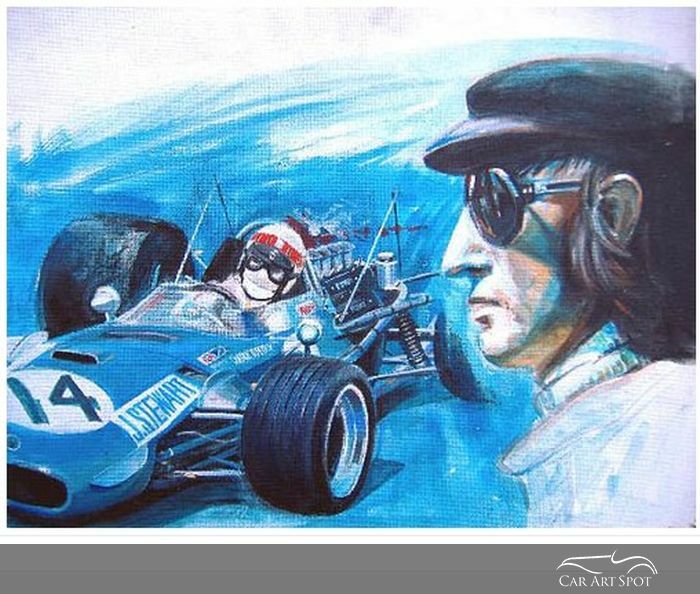 The painting I did of Steve McQueen and his Porsche 917 was a sort of experiment which you have to do sometimes because if you don’t experiment, you don’t progress or move in a different direction. If I see work from other painters like Alfredo de la Maria or Juan Carlos Ferrigno, I love the way they work with colours and lighting. I try to learn from artists like that and try out different things. It’s not only about painting the car and I want to be a much better painter and understand the colours and lighting more. I am my own critic and work at developing my style more and making each painting better than the last one. And how do you come up with new topics for your artwork and do you think that commissions limit your creativity as an Artist? I have many books. I lived in England and bought many British automobile magazines which are the best. One of my rooms is full of books and magazines and now there is obviously internet. I make sketches and read articles which bring me onto ideas. 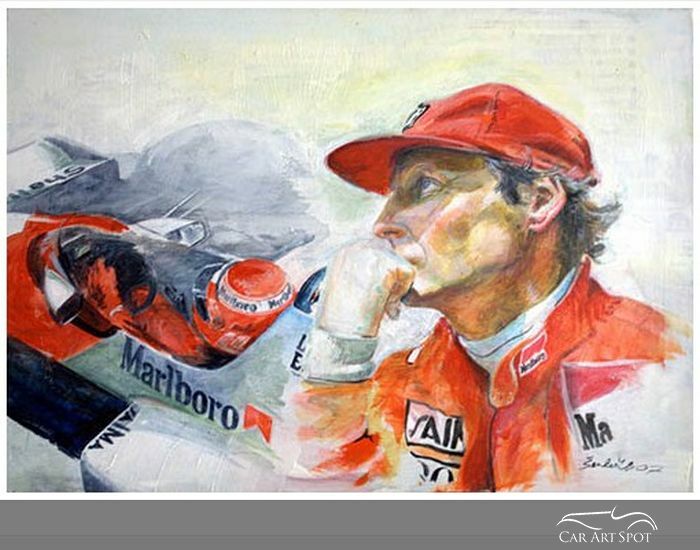 Niki Lauda is my childhood hero and my top nr. One driver. I actually met him some years ago which fulfilled a dream of mine. I do commissions but don’t think they limit me. If someone wants a commission from me, then they obviously like my art and the way I paint and are mostly satisfied to leave it up to me. And for Daniel, he has the perfect job and is living his dream but his next goal is to expand his artwork abroad to get more exposure. Up to now, he has been exhibiting solely in the Czech Republic. That is about to change. Not short of hobbies, Daniel also makes design T-shirts and we think there is a lot more to come. Daniel also has a Facebook page.